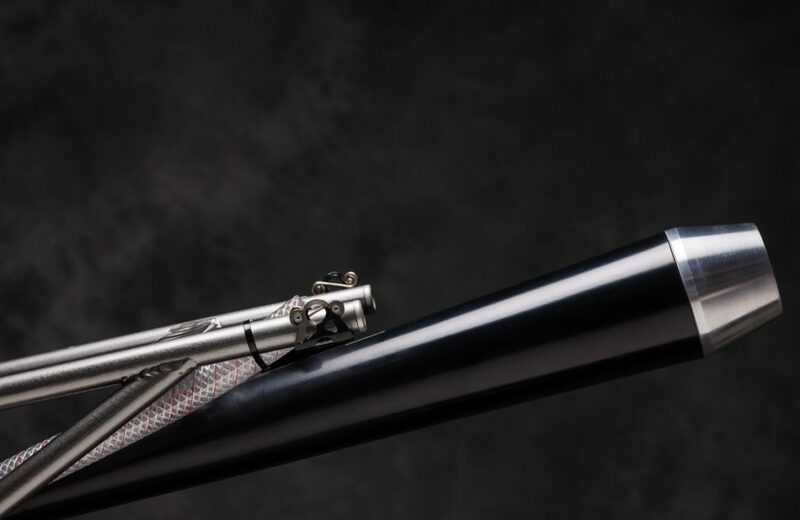 In most cases, vehicles designed for military use are decidedly lacking in glamour. 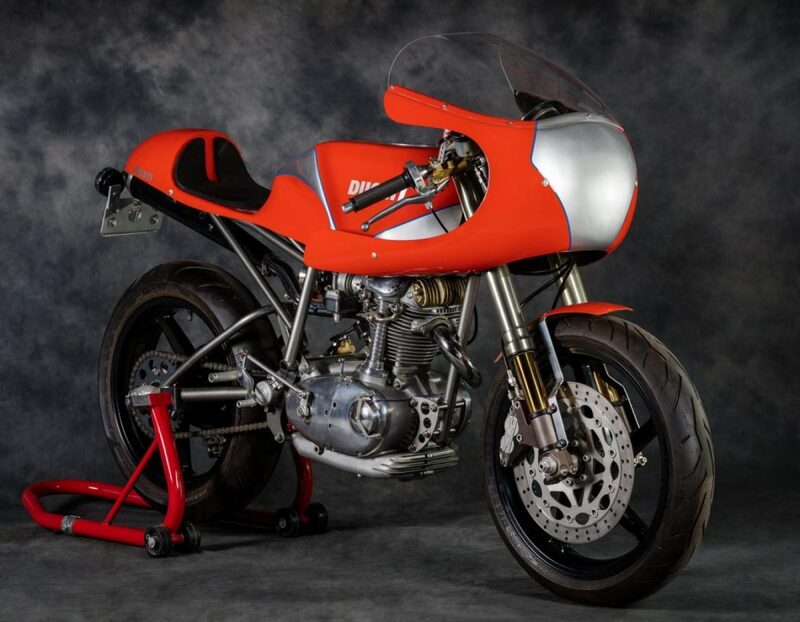 That’s not the case with the Condor A350: It was a Swiss-made, single-cylinder Ducati powered motorcycle created for the Swiss Armed Forces that also happened to feature rather pleasing proportions and detailing. 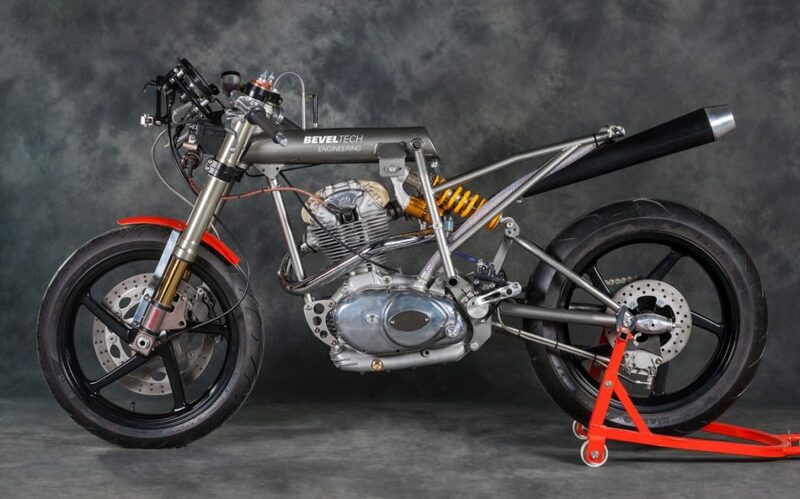 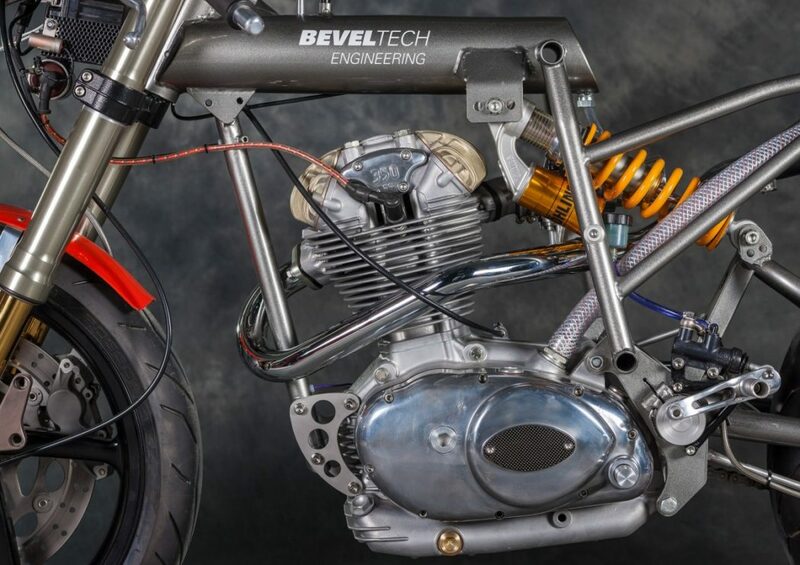 Furthermore, it makes a nice basis for a custom bike, as Australian Tony Hamilton and his build shop, BevelTech, has quite convincingly demonstrated with the retro-racer-inspired build you see here. 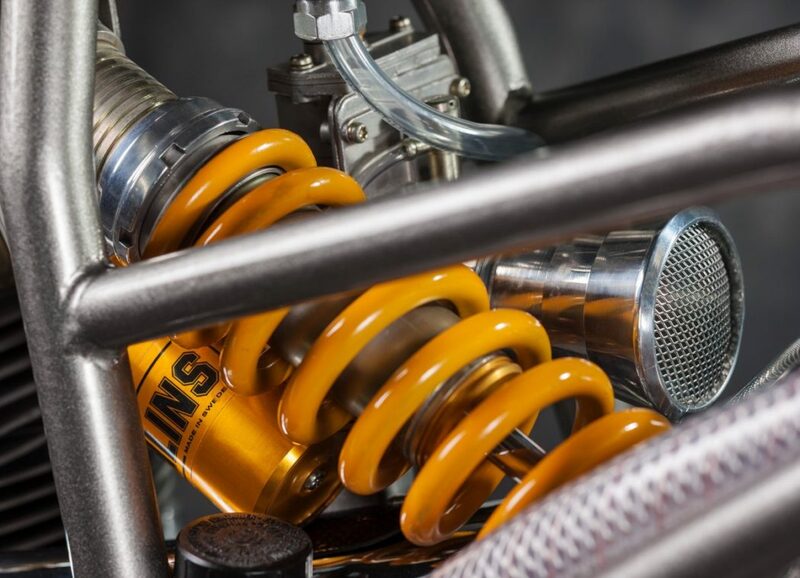 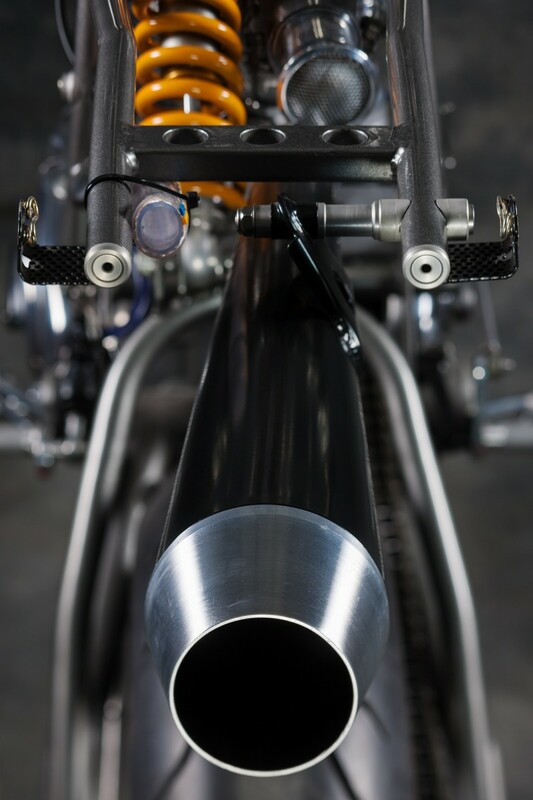 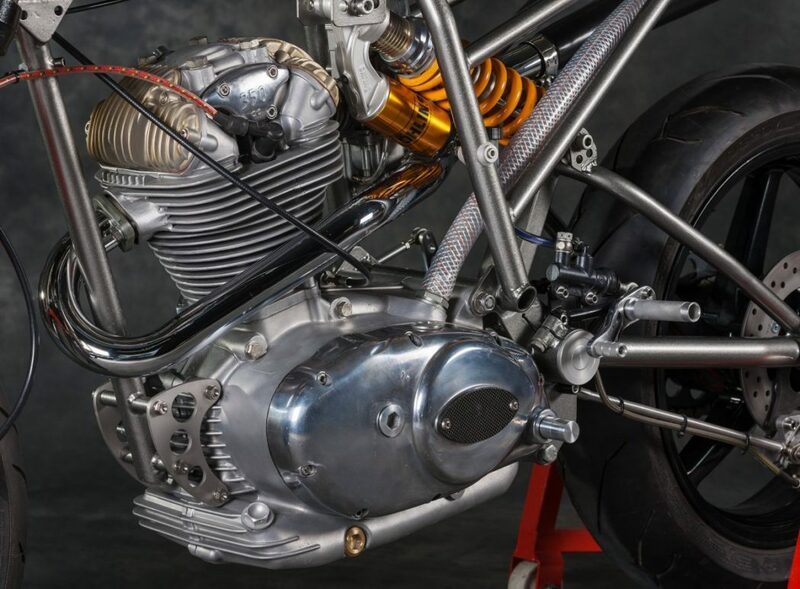 Of course, when we say “basis,” we mean pretty much the only Condor piece left on this bike is the 340.2cc air-cooled thumper, and even it has received a thorough going through to lift its output to 29 horsepower at the rear wheel. 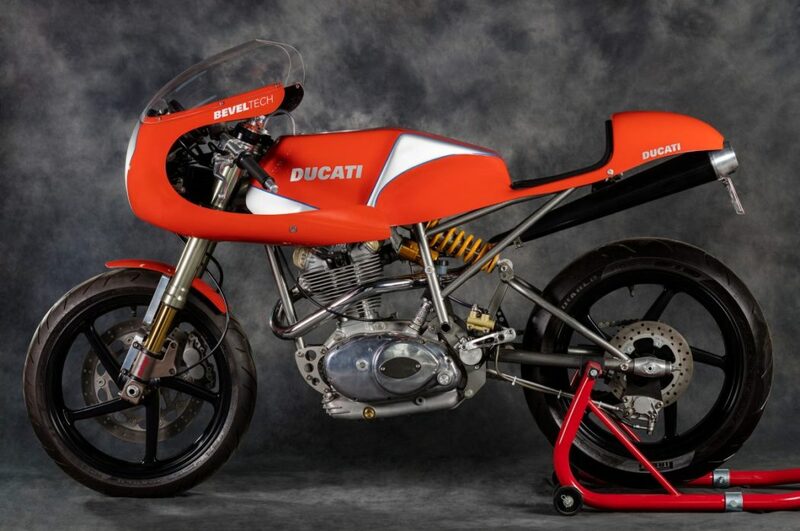 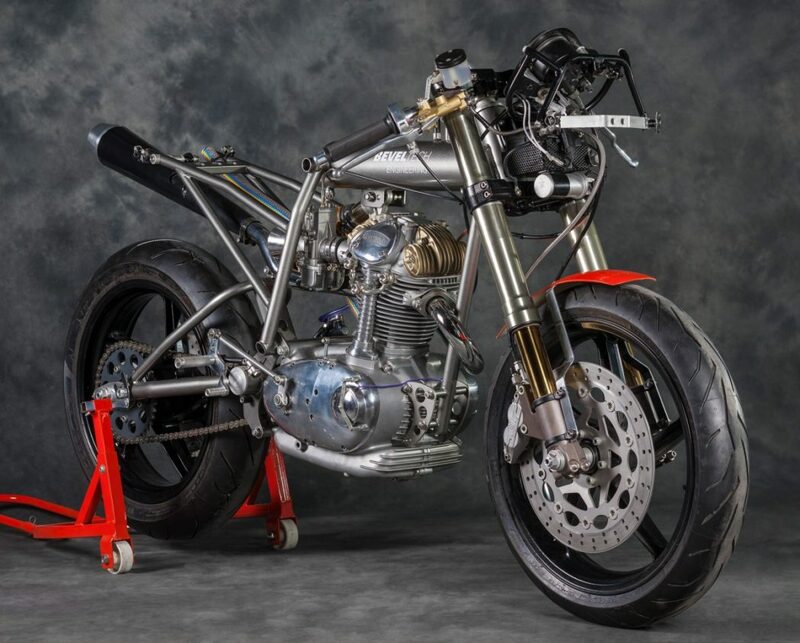 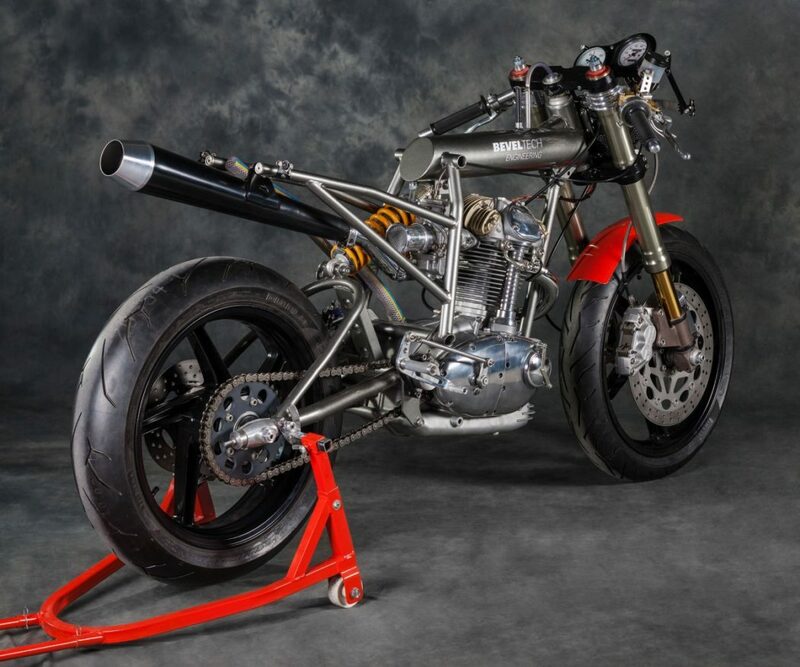 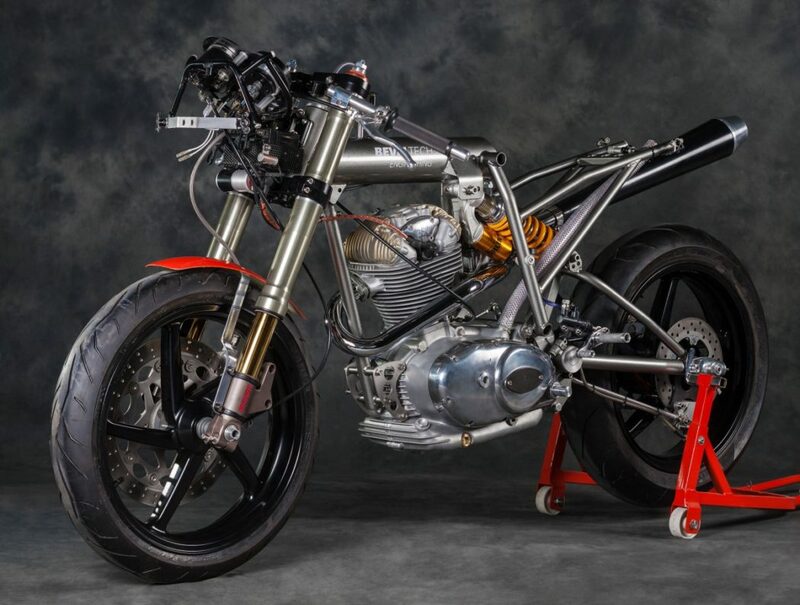 The bespoke chrome-moly steel frame incorporates the engine as a stressed member, while the Aprilia RS125 wheels and brakes and Ducati 998 Carl Fogarty Replica front forks let this lusty lightweight (216 lbs.) 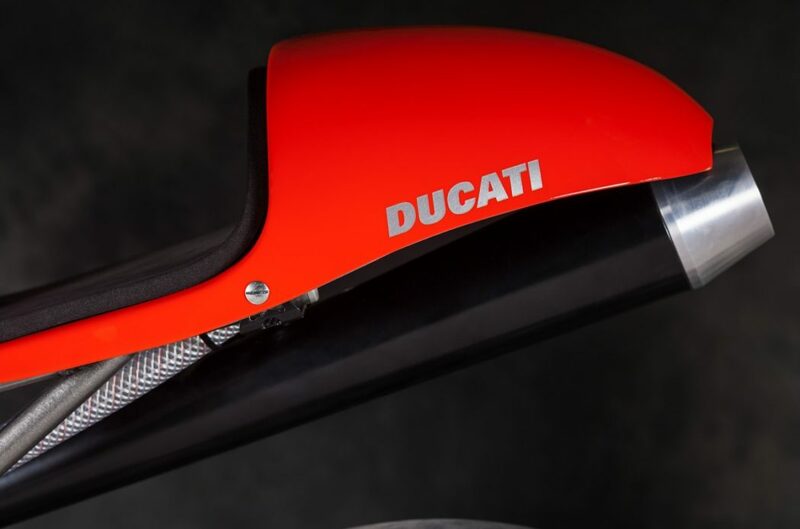 interface with the pavement. 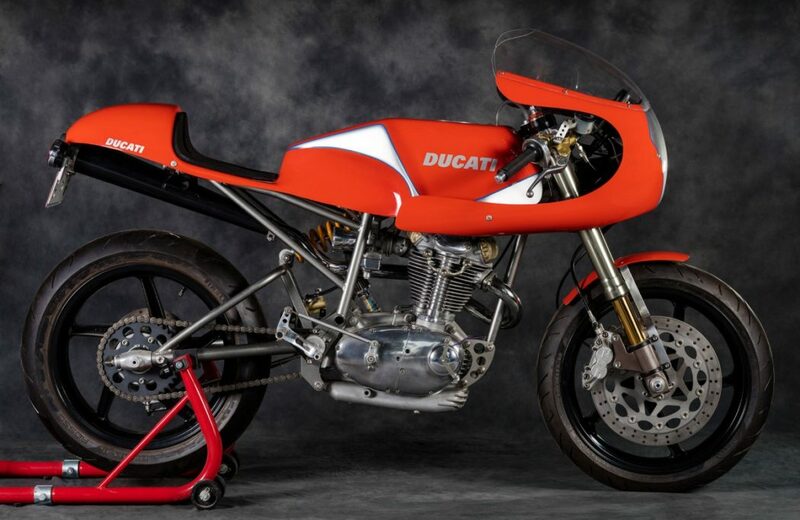 We’re willing to bet using this baby to interface with the pavement is as delightful as looking at this motorcycle is.